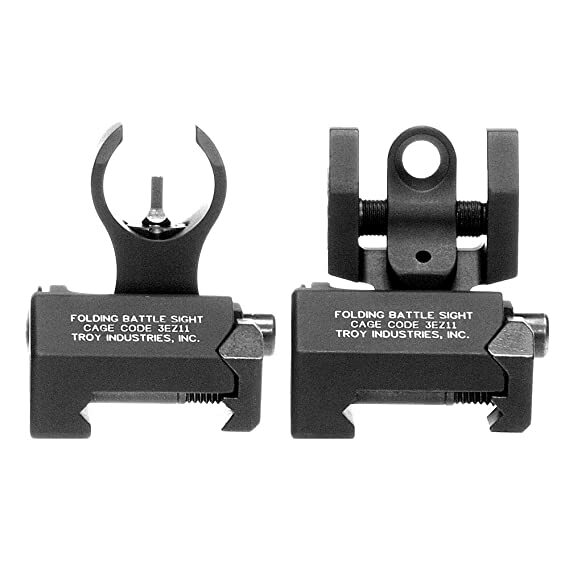 Troy Industries Battle Sights set the world standard for performance and durability. Now, Troy has developed a rugged low-profile sight designed for firearms with top rails higher than the standard M4. 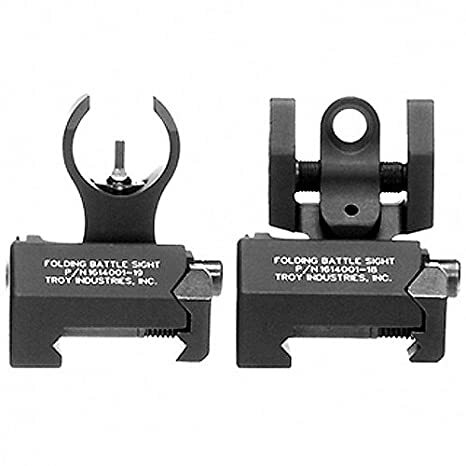 For shooters who favor a sightline thats as close to the barrel as possible, or for those with raised top rail systems, the Troy Micro Battle Sight provides an ideal solution. 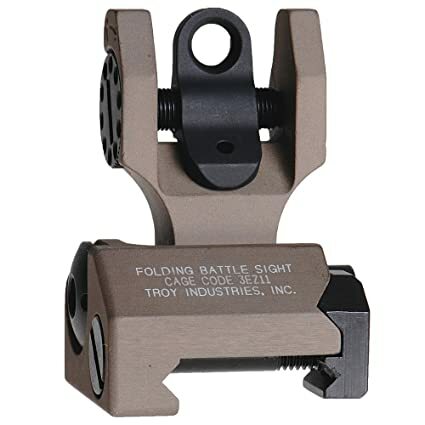 The Troy Micro Battle Sight greatly enhances platforms such as the new IAR, the Sig Sauer 556 Pistol and Carbine, POF 416, FN Scar, Robinson Armament XCR, Heckler & Koch 416 & 417, and other rifles with raised top rails. 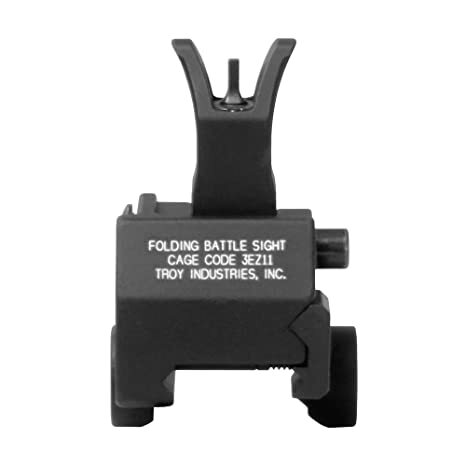 Troy Micro Battle Sights are not appropriate for use on a standard AR/M4 platform. 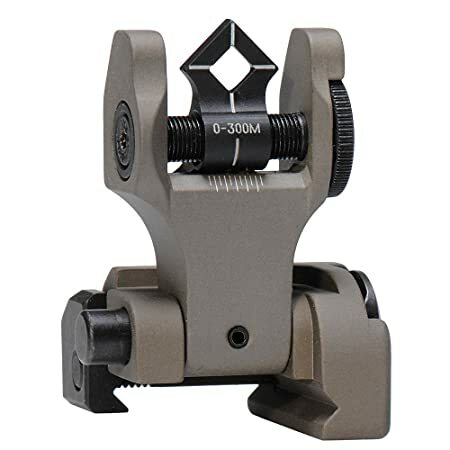 Troy Industries manufactures three different height sight sets: Standard: Aperture Height of 1.36 Medium: Aperture Height of 1.276 Micro: Aperture Height of 1.16 Standard and Medium height sights are suitable for use on Mil-Spec top rails, while Micro height sights are intended for use with rifles with a raised top rail only. 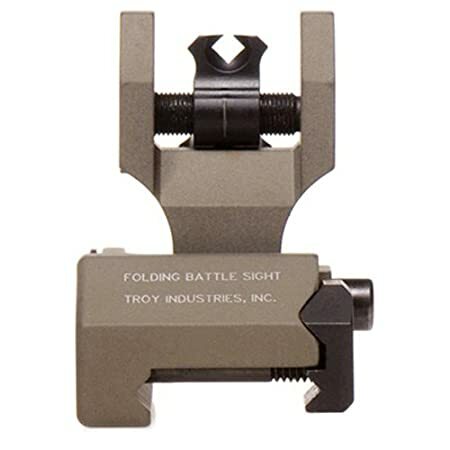 All Troy Industries sight sets must be mounted on the same sight plane for proper installation. 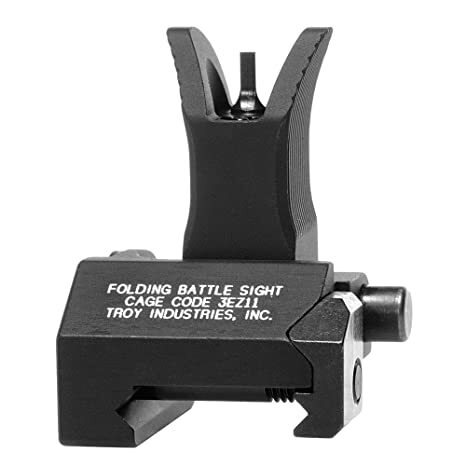 Durability and dead-on accuracy have made Troy Industries Folding BattleSights the hands-down choice of Special Ops and tactical users worldwide. Easy to install and to deploy, with no levers or springs to fumble with, these sights position apertures at exact factory height. A stainless-steel cross-locking system ensures sights remain upright and zeroed under extreme combat conditions. A push of a button folds the sights securely out of the way until you need them again (they fold to a profile of just 0.460). 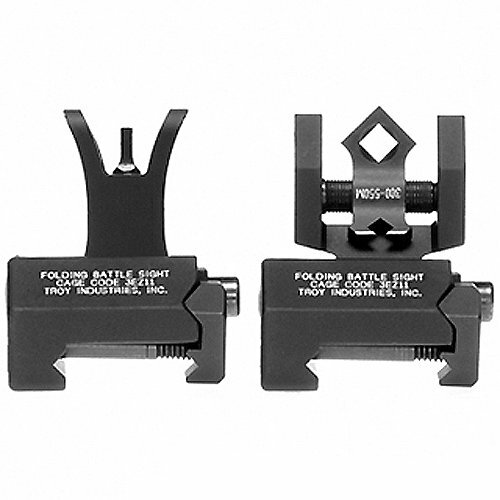 Troy BattleSights feature a zero-canting attachment system for use on all military and aftermarket receivers. No tools required for adjustment. Each click adjusts .50 MOA. – Folding – Black Note: Will not work on railed front gas block mounted lower than receiver height. 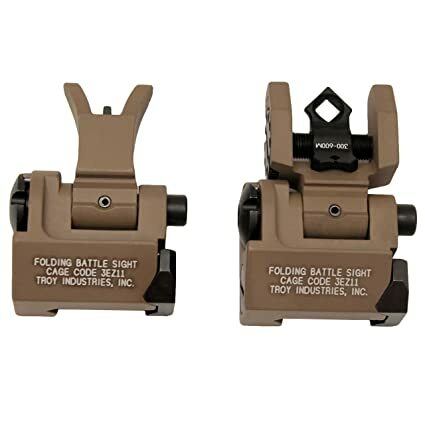 Advanced design, superior sighting and battle-ready toughness define Troy Industries new Di-Optic Aperture (DOA) flip-type sights. Now available with Tritium, a form of hydrogen that emits its own light source, ideal for any low-light shooting situation. These sights provide lightning fast target acquisition and are manufactured to exceed military specs. The optically engineered apertures center your eyes instantly and effortlessly providing a clearer target picture than with round apertures. The sights feature two settings, one for up to 300 meters and a second for up to 550 meters. This versatility makes the DOA ideal for military, law enforcement and home defense applications. 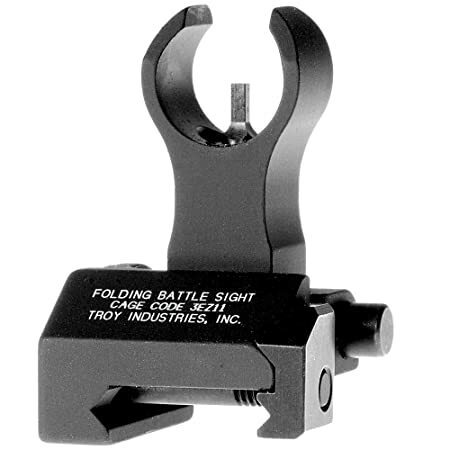 These advanced sights have been extensively field-tested and, like all Troy Industries products, are Battle Ready. Count on it. Black Note: Sight is designed to work on same plane rail systems only. Will not work with a railed gasblock that is higher or lower than the receiver. 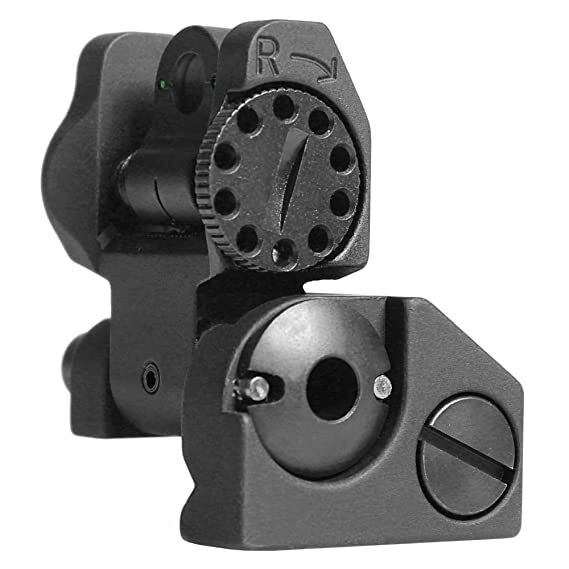 Troy Rear Tritium Folding Sights TRITIUM is a form of hydrogen that emits a continuous light source where using batteries or electricity is not possible. Target acquisition is made possible in low or no light conditions. 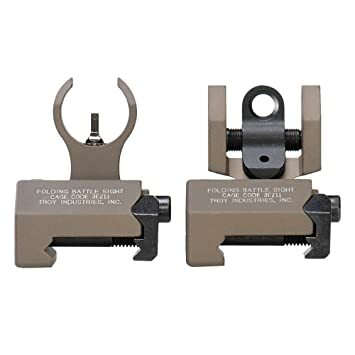 – No limited sight orientation due to low light conditions – Front post is centered between two tritium points of reference to allow for proper alignment – Black Note: Sight is designed to work on same plane rail systems only. Will not work with a railed gasblock that is higher or lower than the receiver.